On Friday, the House is expected to vote on the Republican healthcare bill intended to replace the Affordable Care Act signed by former President Obama in 2010. The bill, which would limit Medicaid expansion, has been criticized by both Democrats and Republicans. According to the Congressional Budget Office, by 2026, it would leave 24 million fewer people insured than under the Affordable Care Act. The vote was supposed to take place on Thursday, but about an hour after White House Press Secretary Sean Spicer assured the media that “nothing leads me to believe” the House wouldn’t vote on the bill, the vote was canceled for the day. 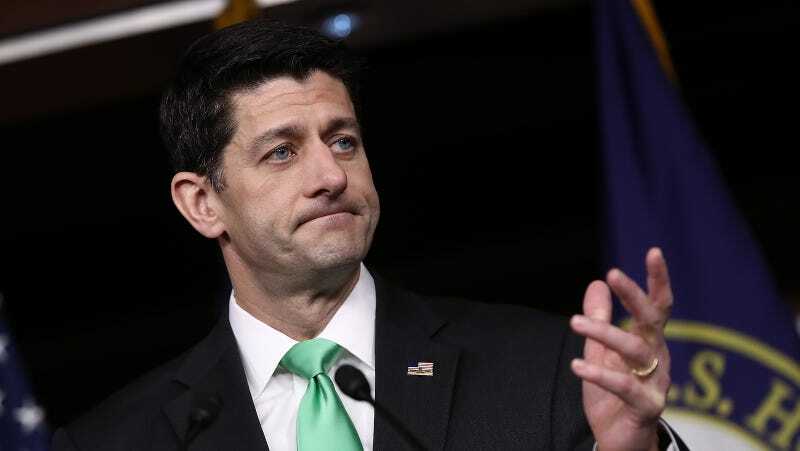 Then, in an apparent effort to please hardliners from the House Freedom Caucus, House Speaker Paul Ryan introduced a four-page amendment that would essentially roll-back the mandatory coverage of “essential health benefits” under the Affordable Care Act. The amendment allows states to decide what is considered essential, which means that insurance companies may no longer be required to cover prenatal care, maternity and newborn care, mental health, prescription drugs, emergency visits, hospitalization, outpatient care, preventative care, and more. The Congressional Budget Office has not yet analyzed the proposed changes to the bill. Trump has also turned up the pressure. On Thursday night, he presented Republicans with an ultimatum: either pass the bill as is on Friday, or Obamacare stays. “If this goes down, we don’t get tax reform, we don’t get infrastructure … We may lose the Senate,” he said. Update (5:00 pm EST): The vote was canceled and the bill has been withdrawn.